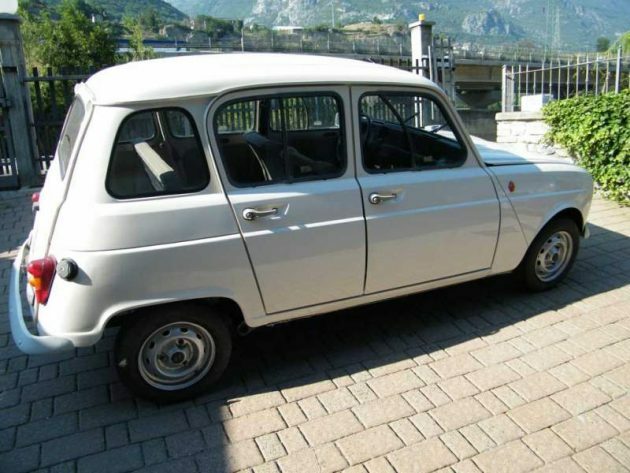 Your job, should you choose to accept it, is to dispute the claim that the Renault 16 was the first production hatchback in the world – ever – when it was introduced in 1965. I know that you can do it! 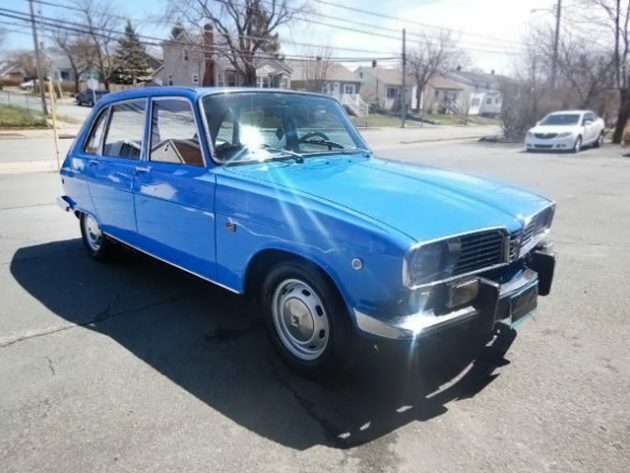 This 1970 Renault 16 TS is a special one, as if they aren’t all special. 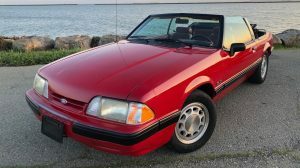 This one is listed on eBay in beautiful Cole Harbour, Nova Scotia, Canada with bids of over $2,500 – but of course the reserve isn’t met yet. There it is, that famous hatchback. 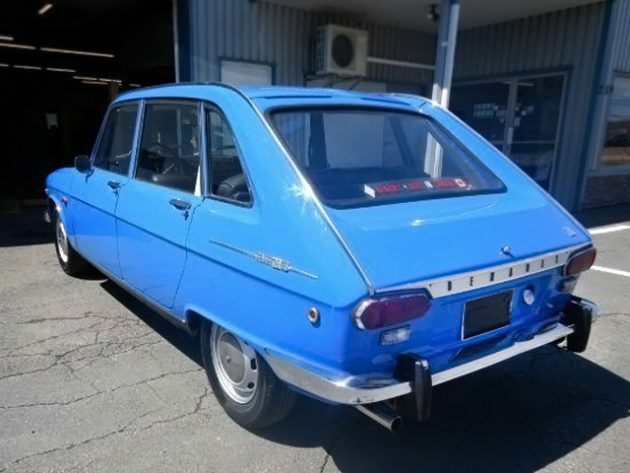 Some sources say that the R16 was the first “production” hatchback in the world, which I find hard to believe, especially given their 1965 beginning model year. What others have you come up with that are earlier than 1965? 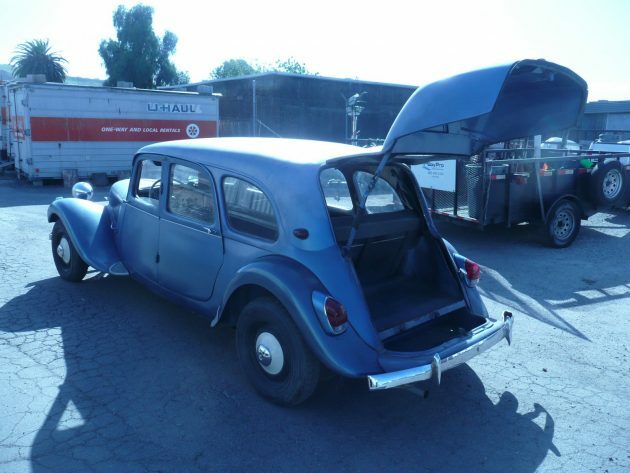 I can think of the 1949 Kaiser Traveler, that’s sort of a hatchback, isn’t it? I have also run across sources saying that Citroen had hatchbacks in the 1930s but maybe not production hatchbacks. This R16 looks good under that famous hatch. 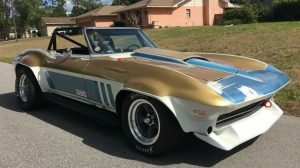 The seller has ” been asked if there is any rust in the 16 there is not, the car was very clean when I bought it other than some in the lower front which was replaced properly. I would dare say it’s one of the best R16’s you will find in North America.” I sure wish that it were the original gold color/colour, though. 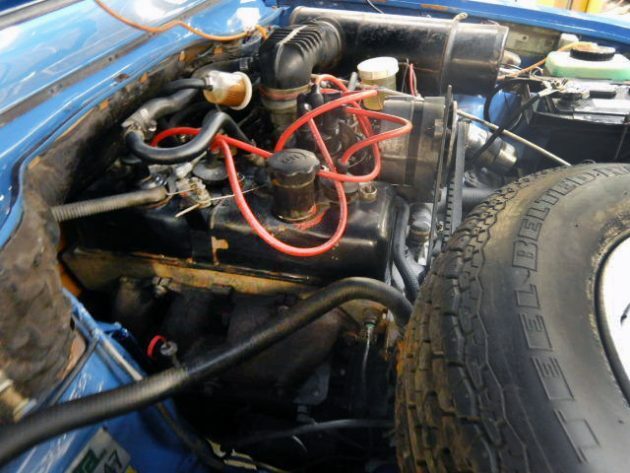 Speaking of cornering, this R16 “TS has the gordini head which was also used in the Alpine lots of power and runs very well” according to the seller. These would have had around 80-88 hp which isn’t a lot but this car only weighs around 2,300 pounds. 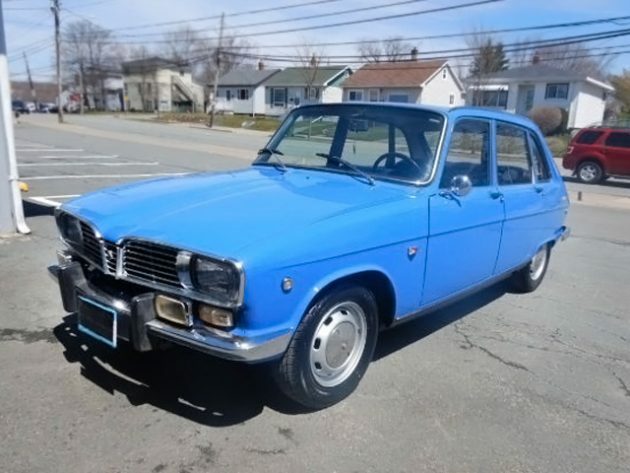 I’m trying my hardest not to be an excuse guy, but if I didn’t have my Renault GTA… Have any of you owned a Renault 16? acceleration, brakes, and the hatchback, had the most comfortable seats you would ever find in a car as they were designed by an orthopedic surgeon. The only other car that I owned where the seats were nearly as comfortable as the Renault were the 1972 Alfa Giulia 1300. I was gonna say the Kaiser was certainly a hatchback, but offhand I can’t think of any others from the 50s. The Stude wagon with the sliding roof comes to mind, but that isn’t really a hatchback. Nice to see a Renault on your site, it’s great to see a variety of cars, and this one looks great, I love the lines of the 16, so European. Aston db mark iii hatchback included a folding rear seat and the car is beautiful. This has the Renault 356 trans doesn’t it? That’s the one in the Lotus Europa. The car is worth the trans alone if so! I test drove one of these around 1971 and was totally impressed. I particularly recall how smooth the ride was and how really comfortable the seats were. I seriously considered purchasing one but could not believe it would be reliable. Ended up buying a two year old 1970 Chrysler New Yorker that was a beauty in cream with black vinyl roof. Interior was cream leather. It was an excellent ride. The first hatchback? Not so. I had a ’55 Citroen Traction Avant Commerciale, which had a huge hatch – you could walk a cow into the car! And my Commerciale wasn’t the first in the Citroen Traction Avant history – the TA being first introduced in 1935. Regardless, the R16’s suspension is all torsionbar like the Traction, and superbly comfortable – almost as good as the hydropneumatics on the Citroen DS introduced in 1955. I currently have two R16s – a 69 and 71. Terrific ergonomics and fuel efficiency in a very roomy small car. Holy cow, are those VW Bug tail lights or did you stick them on there? What a cool car! @Jdjonedr. Those are the original tail lights. Not to belabor a point, but if you google 55 Citroen Traction Avant Commerciale, none of the ones in the search have those tail lights we see in your picture. The original tail lights are very different. The ones on yours look exactly like the tail lights on an early 70’s bug. Not seeing many in the midwest is an understatement. I think these were great cars, like all French cars, just the styling, was a bit too far out there for Americans. In 1970 we were into Mustangs,and Nova’s, not your ding-a-ling Renaults. (the old man called them “Re-nultz”) And it wasn’t like there a bunch of Renault dealers. I remember maybe 1 in Milwaukee at the time. ( until the Alliance fiasco later on, anyway) Unless you lived in France,where there may be junkyards full of these, I’d have to think parts here are non-existent. I have always been leary of French cars because of parts avalability. Do any of your readers have experience in the subject? I owned a 1970 R16. Bought it for next to nothing, rolled it into my shop space and dismantled it. Had it painted (hated the original green, changed to a beige) while I rebuilt the engine, had the seats recovered and tidied things up. Later, a friend brought me a five-speed R16TX transaxle from France. Yes, it had a five-on-the-tree! Being a lower-end USA model, mine did without the hemi head, and had a ribbon speedometer rather than the round dials. I added an oil pressure gauge. In many respects, it was the best car I ever owned. 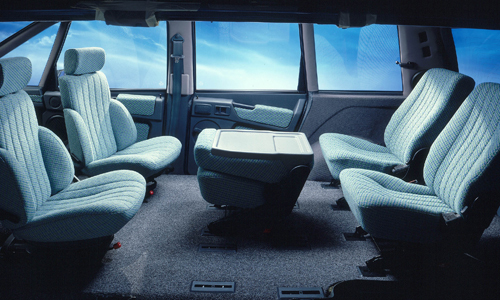 Adequate performance, good handling, a superb ride — and wonderful seats! — and, of course, a cavernous space in back to carry almost anything. At the time I bought it, parts were pretty scarce, but the local Pick-Your-Part yards had a decent supply of R16s. I amassed quite a pile of bits. Later, of course, spares became a serious problem, prompting me to pass the car to another enthusiast. It’s worth noting that “foreign car parts” stores were fading away in the early 1980s, and the Pep Boys-type operations didn’t seem to know Renaults existed…. This tugs at the heartstrings a little. 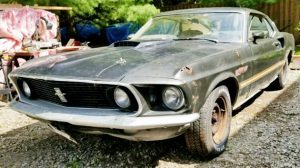 At the current bid of about $2600, it’s more money than I spent on the purchase and rehab of mine. In the R16, the wheelbase is longer on one side than the other. Only the French. Yes those are VW taillights on my Traction Commerciale – because originals aren’t readily available since these cars ceased production in ’57, and they’re so small & weak & the VW’s fit the fender contour quite well, so using them is a safety improvement. 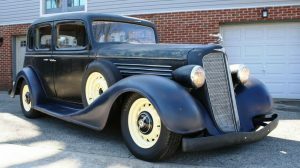 I’m not a purist – functionality and safety come first for me & my classic cars. The taillights on the R16 are well done as-is. And yes, the 16 has two different wheelbases so that the rear torsionbars can be the proper length for best ride performance & long wheel travel, so those bars bypass each other to be long enough to work best. NO ONE takes better of their derrieres than the French – they understand suspensions better than anyone. I’ll give you another example: Last summer as a member of a Ypsilanti classic car group, I visited a fellow who restored Civil War cannons and other war equipment. He showed us a cannon built in 1897 – looked much like any old two-wheel horse-drawn cannon until you looked closer. This cannon was the FIRST that didn’t have to be repositioned after every shot due to recoil that physically moved it around after every shot. Why? Because it had a hydro-pneumatic recoil absorbing system : A large hydraulic SHOCK ABSORBER on the barrel was coupled to a nitrogen gas-filled cylinder that returned the cannon barrel which slid on guide rails like a model train. The barrel’s recoil was so well-absorbed, then returned to its forward firing position so smoothly that the cannon team did not have to re-aim the cannon – they knew exactly where the shell landed and that told them how to re-aim the gun if they missed the target. Before that, all shots were hit or miss and targeting was very inaccurate. Who designed & built the cannon?? The French. Now that’s ingenious engineering, and it shows in many of their cars. I now believe that cannon inspired the French to design the Citroen DS19 hydropneumatic suspension that debued in 1955 and blew everyone’s mind. The Kaiser Traveler was years before. I mentioned that one in the third paragraph, John. You’re right, though. Ref Renault 16, it´s an outstanding car as the better commentators here have said. Engine is great, I had the same engine in a Mexican-built Renault 12TS which covered the ground really well. Meico DF to San Diego in 2 days, solo. The R16 TX was a very nice car that I got the chance to test drive somewhere in the late 90’s. Very smooth drive, quiet engine, good performance, nice options (power windows and moonroof, central locking doors…). The prices here (in France) have soared for these cars, especially the TX version (5 speed). BTW, there are no splits in the dashboard, what you see are the slits for the handles of the air system (sorry for my poor technical english, I’m lacking vocabulary). Look closer at the green one in the link. And with the Internet days I don’t know how one would be afraid of the non available parts for a car : the world is your shopping supermarket! Down here in Australia Renault fitted softer torsion bars for rough roads but it produced more body roll and as the saying went – “You could always recognise a Renault driver by the gravel rash on their elbow”. An additional interesting and distinctive point about this car is that it was likely assembled in Quebec for the Canadian market. Riton is righton – I often buy off Ebay.UK or Fr or De for my Bristols, Panhards and NSUs and find Fleabay is an incredible help for finding parts that people everywhere have fortunately hung on to that normally gets trashed. Just last wk I found a brand new boot latch & lock for a Brit friend’s ancient Peugeot 205 diesel to replace the butchered one on the car which he loaned me while in the UK chasing a Bristol 403. Tim fortunately had his late father’s gorgeous 2CV to fling around the hedgerows near Oxford while i piled the miles onto the Pug zipping back & forth to W. London, but we always had to reach way into the back to unlock the boot and it was a real nuisance. 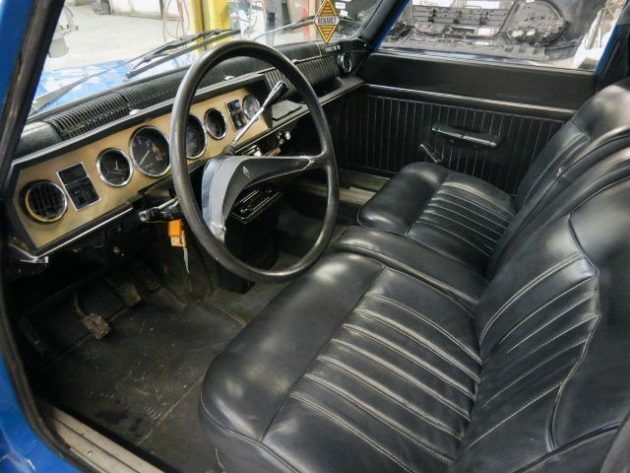 A couple more items on the 16: the engines are all alloy and quite reliable – think Alfa engine in a family sedan, and the TX is a crossflow hemi. Further, the Espace family van was copied by Pontiac in their slope-nosed FWD van which they introduced to go after Chrysler’s minivan. When i was working with Pontiac in the ’80s on the Fiero, Hulki Aldikackti, the father of that minivan whose name escapes me, took me for a wild-assed ride in their study Espace around Pontiac’s Wide Track Drive which rings the city. Hulki wanted to demonstrate the van’s handling and how they were going to copy it. Later I saw three Espaces disassembled in Pontiac’s engineering facility, which revealed that the structural spaceframe of the Espace was hot-dip galvanized, making it extremely rigid, which was necessary to prevent twist which tended to pop off the bonded-on SMC bodypanels made by Matra – the same aerospace co. which built my ’65 Matra Bonnet Djet 5s – the very first production midengined sportscar with its Gordini hemi R8 based engine good for 94 hp out of 1100 ccs at 10.4:1 compression. 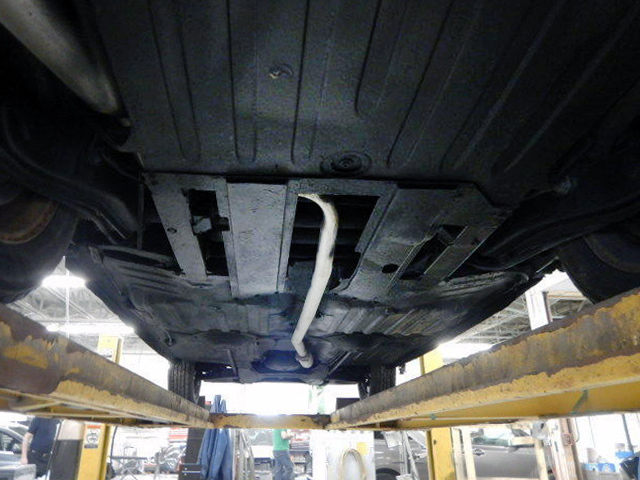 GM went the same route – bonded-on non-rusting sheet molding compound panels – basically fiberglass. But i don’t think they galvanized the structure, or they’d still be around. @Ken Nelson. It looks like the Chinese are not the only copy-cats heh? The worldwide auto industry has always pirated ideas from the others if they think their competition has hit a hot streak. i have a sneaking suspicion that the designers of the Citroen DS liked the looks of Raymond Loewy’s ’53 Studebaker, with its very small grille opening and long tapered hood. Citroen could easily have transposed Loewy’s “European” design to their 4 door sedan. Or maybe Loewy got a sneak preview of the DS??? Who knows how these things happen….. If you look at a 1960 Hillman Minx, you’ll see ’58 Chevy rear fenders with a flippant curve outwards at the top on the Minx rear end, so we have another who did it first? I have a ’62 Humber Super Snipe made by Rootes which looks from the front to be a Checker cab, while the rear view mimicks a ’54 Chevy – go figure that one! Once you own one, you’ll never want to sell your Espace, they’re just too useful. Mine is a ’86 2000TSE Mk1 Espace, using what is effectively Fuego 2 litre running gear under that galvanised spaceframe. That was handy for uprating the rear axle to that from a Fuego turbo to get all wheel discs. 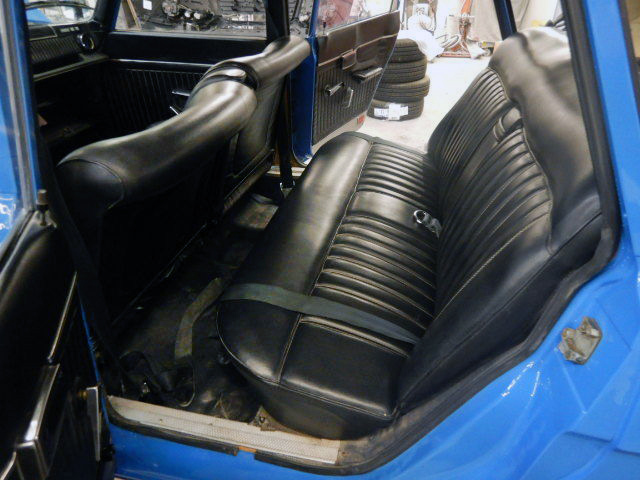 And pulling apart the seats to take off the cloth upholstery, washing the covers and reglueing them to the foam gave me what seemed like a brand new interior. Did the GM dustbusters have a front seat that swivelled round for picnics? The four cylinder Espaces use the R16 5 speed as well. 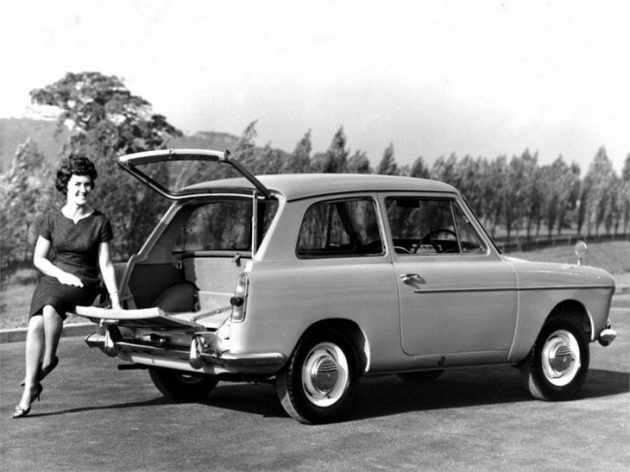 The Austin 40 Farina has a hatchback. Built from 1958 onwards. 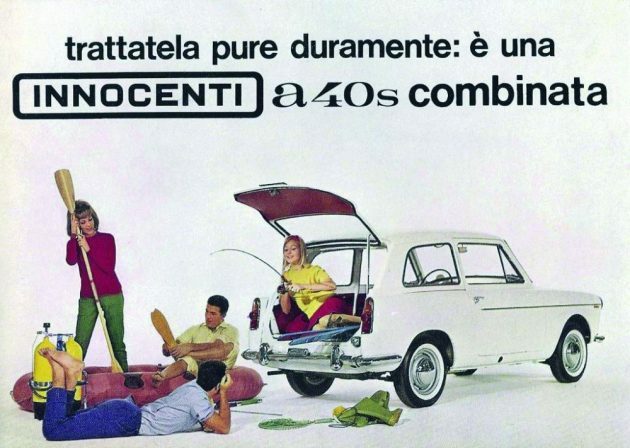 And the Italian branch of BMC, Innocenti, was first to make a full hatchback based on the A40, without the drop down tailgate. My family had one of these in Maroon. It was a 72 if I recall. Column shift, comfy ride. We eventually figured out why she rode nicely over speed bumps. The rear wheels were slight offset (eg one was an inch or two forward than the other). If you look at the left rear wheel well vs the right, you might notice that the distance to the rear door seam is greater on the left side, suggesting the right wheel is slightly further forward than the left. 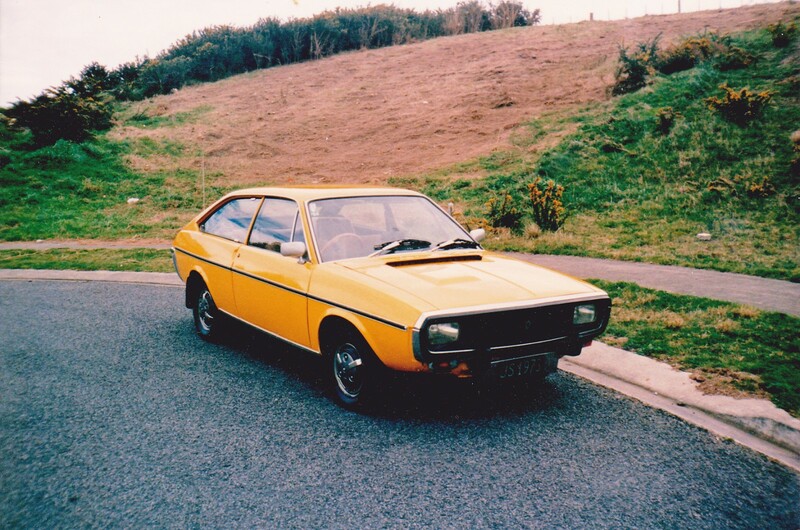 had a Renault 15 with the hemi head engine… great car… loved it…. Had a 16TS in the mid 70s. As others have said it was incredibly comfortable with seats that would be very acceptable today. 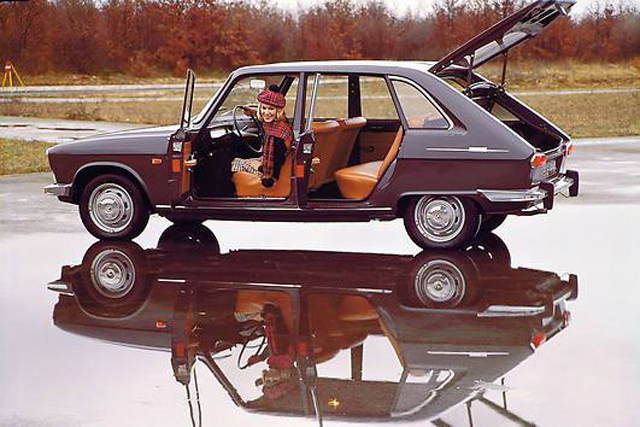 It replaced a Renault 4 so seemed like real luxury but still very practical. 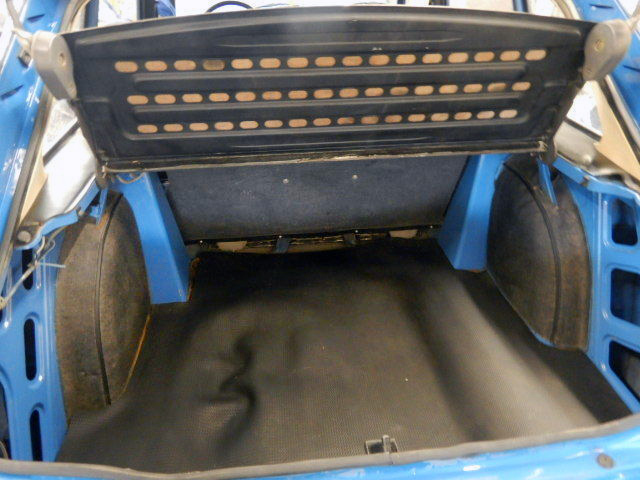 It was easy to remove the rear seats altogether making a very serviceable van, only limited by the high sill. From memory the only problem was the automatic choke which would revert to a rich setting in certain weather conditions, usually driving wet snow. Fixed by a conversion to manual, I think. The car was replaced by a 5 GTL which was a dog right out of the box and effectively cured me of a Renault addiction. NjohnB. If the car was LHD and in the UK I would want it! Renault 16 stoies, ok. Around the corner from me lived a Mr Goldfarb, who loved Renaults, you know, he was “the guy” with 3 of them in the driveway. He had a beautiful dark blue 1970 R16. He bought it from the local dealer, who was a young hippie guy working out of a 3 bay repair shop, selling and repairing Renaults and a weird Japanese car called Subaru. When Renault bought AMC, he had to move to a bigger location and started selling AMC and Jeeps, meanwhile Subaru was getting a foothold. Then Chrysler bought AMC. Now Grand Prix Chrysler Dodge Ram Jeep Subaru is a huge dealer on Long Island. 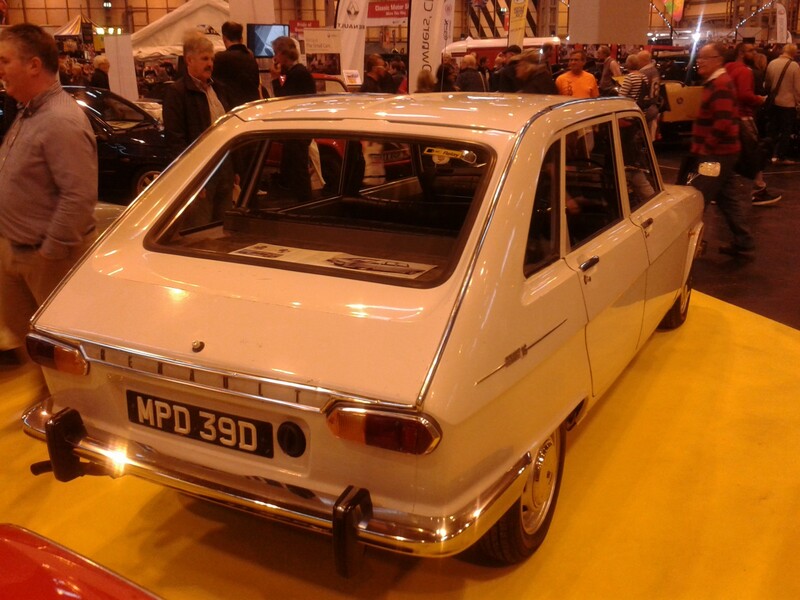 Not even the first Renault hatchback. R4 in 1961. Believe it or not, there was an R3 before the R4 that looked very much like the R4 but as I understand it had a short production run. R4 chassis number one is with a collector in Germany who also has an R3. I had a 1969 R4. Much better put together than my 1980 R5. Couldn’t stop that car, literally, it had no brakes.